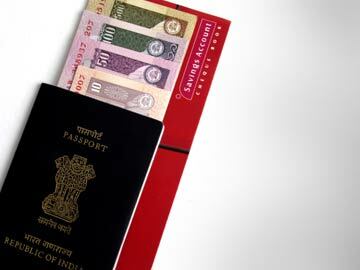 New Delhi: Tourists travelling to India from 180 countries will no longer have to queue at their local consulates to obtain visas after New Delhi announced a "historic" overhaul of its strict visa regime. Most foreigners currently have to wait several weeks before learning whether they will be allowed to enter India after submitting their applications at visa processing centres, a major deterrent for potential visitors. Under the new scheme, many tourists will be allowed to apply online and then receive the green light within five days, before picking up their visa at the airport on arrival into India. "We have decided to extend the visa-on-arrival facility to tourists from 180 nations," Planning Minister Rajiv Shukla told reporters in the capital late Wednesday. "The facility will provide a major boost to the country's tourism sector. This is historic," Mr Shukla said. Visitors from countries which account for the bulk of India's tourists -- such as the United States, Britain and France -- that have had to go through the time-consuming process of applying in person will be among those to benefit from the changes to regulations. Citizens from eight countries including Pakistan, Afghanistan, Sri Lanka and Iraq have not been included in the changes for security reasons. A meeting of top foreign ministry, tourism and other government officials on Wednesday cleared the way for the changes, which were also recently approved by the India's intelligence agencies. The changes were first mooted last October, although only for 40 countries. The government hopes to have the necessary infrastructure in place, including at the country's airports, by October in time for the start of the peak tourist season, local media reported Thursday. India currently issues visas on arrival to visitors from 11 foreign nations, including Japan, Finland and Indonesia. Despite its cultural attractions, beaches and mountains, India attracts relatively few foreign holidaymakers -- 6.58 million in 2012, which was about a quarter of Thailand or Malaysia. India tightened entry restrictions in 2009 in the wake of revelations that David Headley, a foreign militant who helped plot the 2008 attacks in Mumbai, regularly stayed in India on long-term tourist visas.